MDA raises alert level, prepares helicopters, ambulances, and volunteers for expected spike in medical emergencies. Magen David Adom (MDA) is preparing for a jump in emergencies on Yom Kippur (the Day of Atonement). Yom Kippur begins on Tuesday evening, and ends on Wednesday after nightfall. MDA will boost the numbers of volunteer medics and paramedics at MDA stations around the country, as well as ensure that as many ambulances, mobile intensive care units, and emergency motorbikes are available for use as possible. In addition, MDA volunteers participating in local prayers will arrive equipped with advanced medical equipment, including defibrillators, to allow them to respond quickly to anyone requiring aid. Two helicopters will be on call, in Israel's north and south, to allow efficiency in handling emergencies in remote areas of the country. There will also be medics and paramedics stationed at the Western Wall plaza. Eli Bin, MDA's CEO, ordered the alert level to be raised to 3, the highest level, beginning on Tuesday. The organization also asked the public to remember to clear the roads when an emergency vehicle approaches, in order to avoid road accidents. 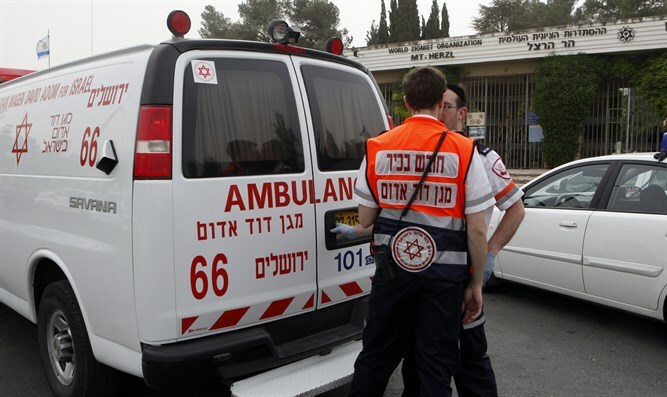 Each Yom Kippur, over 2,000 people contact MDA for medical assistance. Many of the calls are from pedestrians, including children, who were injured while riding regular and electric bicycles. Other calls are from worshipers who begin to feel sick due to the fast, or regarding children who were left unsupervised by their adults. Still more calls come in from pregnant women who began having contractions and require immediate transfer to the nearest hospital. MDA requested that those managing synagogues prepare an emergency smartphone which will remain in the synagogue and which can be used to call for emergency medical help if the need arises.